Manufacturing processes for aircraft components include broad activities consisting of multiple materials processing technologies. 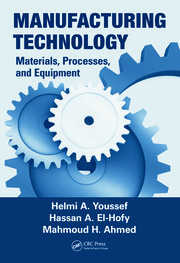 This book focuses on presenting manufacturing process technologies exclusively for fabricating major aircraft components. Topics covered in a total of twenty chapters are presented with a balanced perspective on the relevant fundamentals and various examples and case studies. An individual chapter is aimed at discussing the scope and direction of research and development in producing high strength lighter aircraft materials, and cost effective manufacturing processes are also included. Fundamentals of Aerospace Vehicles. Fundamentals of Building an Aircraft. Major Aircraft Materials and its Classification. 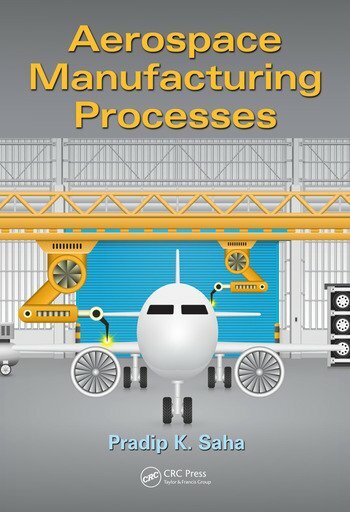 Manufacturing Principle and Processes of Major Aircraft Metal Products. 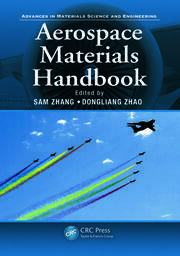 Introduction to Composite Materials for Aerospace. Structural and Operating System Components of an Aircraft. Introduction to Manufacturing Processes of Metal Components of an Aircraft. Cold Forming of Flat Sheet. Cold Forming of Plate. Cold Forming of Extrusion. Hot Forming of Flat Sheet, Plate and Extrusion. High Energy Forming and Joining. Tube and Duct Forming. Welding Technology in Aerospace. Metal Cutting and Machining Technology. Abrasive Metal Removal and Cutting Processes. Chemical Metal Removal and Chemical Processing of Metals. Manufacturing Processes of Composite Materials for Aerospace. Measurement and Inspection Methods in Aerospace Manufacturing. Research and Development. Pradip is a Technical Fellow in the Boeing Research and Technology organization and engaged heavily in research in metallic fabrication technology in Seattle, WA since 1997. He received his B.S (1975), M.S (1978) from the Calcutta University, India and Ph.D. (1993) from Northwestern University, Evanston, Illinois in Mechanical Engineering. Recognized technical expert in wide range of metal forming and joining technologies including 1) Cold forming technologies of aluminum flat sheet and extrusion products, 2) Aluminum extrusion technology, 3) Tribology in metal forming and other manufacturing technologies, and 4) High energy (Electromagnetic and Explosive) forming and joining technology at the Boeing Enterprise, national and international levels. Developed new processes, part design, specification on measurement system, resolved critical quality issues, creative and innovative solutions, self-motivated problem solver and well capable of conducting, managing and collaborating both applied and fundamental research. He received multiple meritorious invention cash awards and various other cash award for technology breakthrough from Boeing including three US patent awards. He also received gold medal for academic excellence in M.S. program from Calcutta University, India. Author of a book, Aluminum Extrusion Technology published by ASM International (2000), widely used in the aluminum extrusion industries, universities, research institutes and more. He published twenty three research papers in the national and international proceedings and journals. 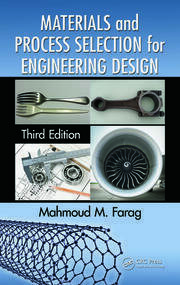 "This is a MUST have material, and as a certificated Aerospace Manufacturing individual with highest third degree in Engineering/Technology Management, focus on Technology Transfer in Aerospace Industry for sustainable development, I can say without reservation that it’s a book to enrich this innovative generation." "I enjoyed reviewing the material Dr. Saha has provided in this book. He has assembled a lot of very complex information and distilled it to a level that can be understood and enjoyed by someone who is not an expert in this field already. He has covered a very broad range of information in a very factual and logical manner."